Category: Ceramics. Tags: ceramic, cooperative, copper, gift, handcrafted, henna bowls, one of a kind, tamegroute pottery, traditional handicraft. 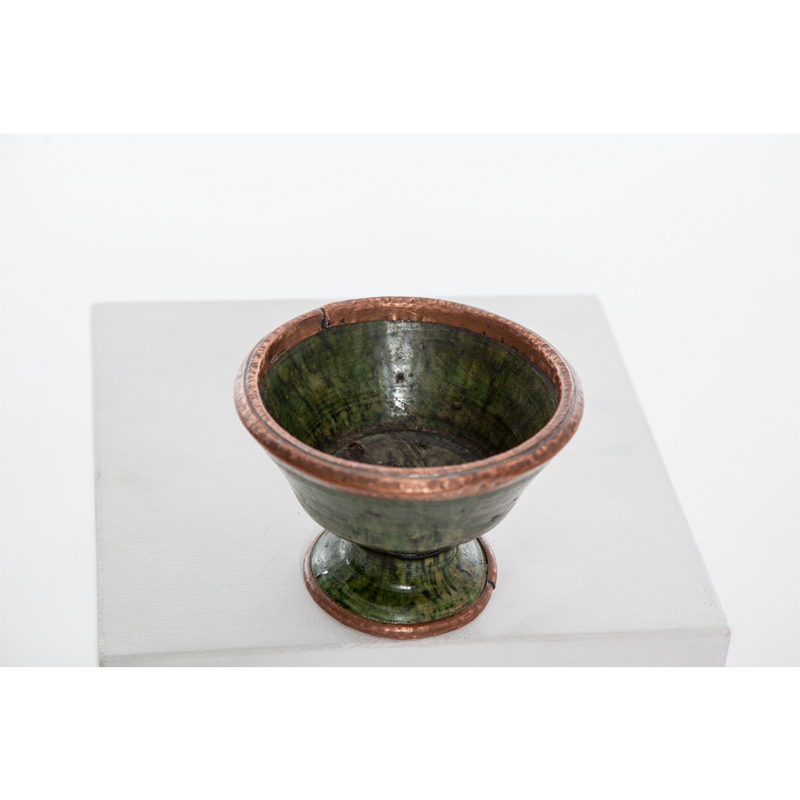 These beautiful green and copper henna bowls are made by local craftsmen from a cooperative in Tamegroute in the south of Morocco. 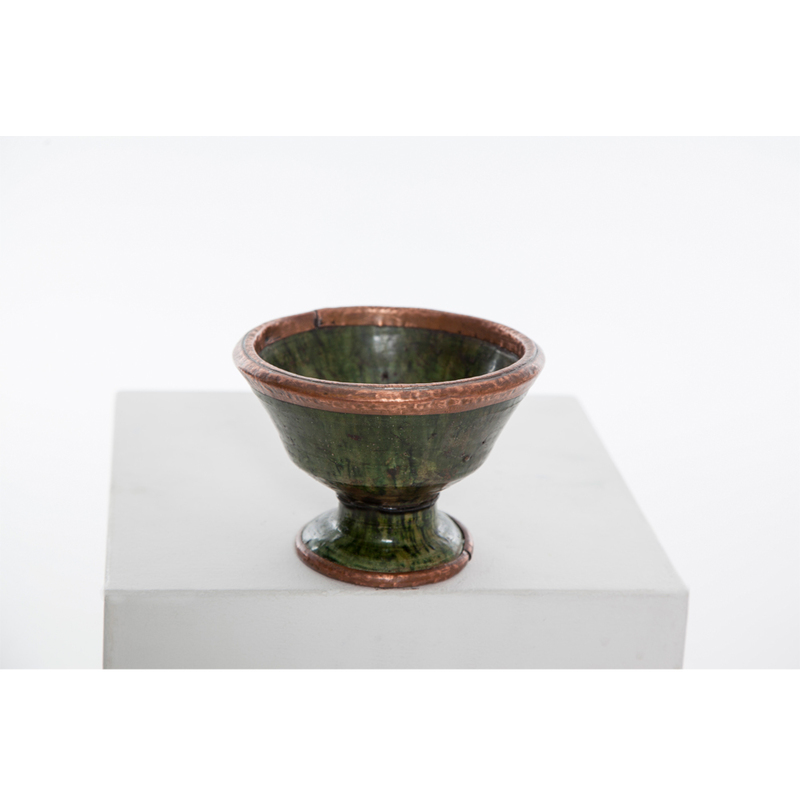 They feature a distinctive green glaze which gives a mixture of colours to each piece ranging from earthy brown through rustic green to turquoise. The secret formula for this glaze has been handed down from generation to generation and less than a dozen people know it. People from all over the world have tried to copy the formula but failed. Each piece is hand thrown and hand finished with a rim and base of beaten copper so no two pieces are identical. This decorative design was originally used by women to mix henna powder and works well in a contemporary or rustic setting.